Kyparissia (Greek: Κυπαρισσία) is a town and a former municipality in Messenia, Peloponnese, Greece. 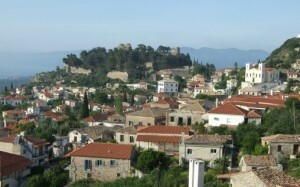 Since the 2011 local government reform it is part of the municipality Trifylia, of which it is the seat and a municipal unit. The town proper has around 5,708 inhabitants. 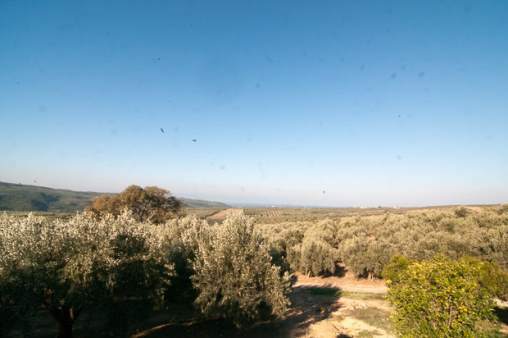 The town is located on Greek National Road 9, halfway between Pyrgos and Methoni. It is located approximately 65 km south of Pyrgos, 67 km west of Kalamata via the highway and approximately 16 km south of the Neda River. The elevation is sea level in the west, approximately 20 m in the town centre, and 50 m or higher in the east; the town is built on terraces. There are approximately 1,500 dwellings in the municipality. In the Middle Ages, it was known as Arkadia (not to be confused with the region of Arcadia). The city centre is adjacent to the train tracks. Kyparissia has the southwesternmost railway station in Greece, the southwestern terminus of the OSE railway line. The railroad station has a freight yard with a length of around 500 m.
It is also an agricultural trade centre. Olive growing dominates the local agriculture; the town is almost surrounded by olive groves and trees and mixed farming. 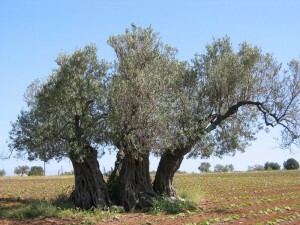 Forests including cypresses and pines lie to its east. There is an acropolis and a fortress built during the Frankish period. 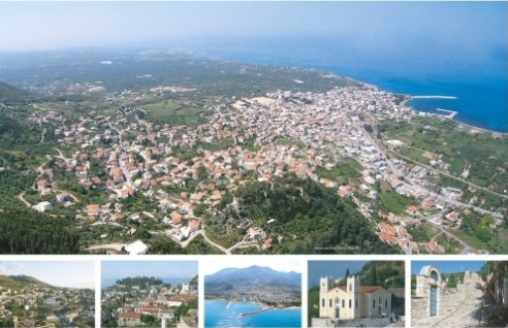 Kyparissia has churches, a hospital, schools, lyceums, a gymnasium, banks, churches including Agia Triada, a post office, squares and beaches (paralies). 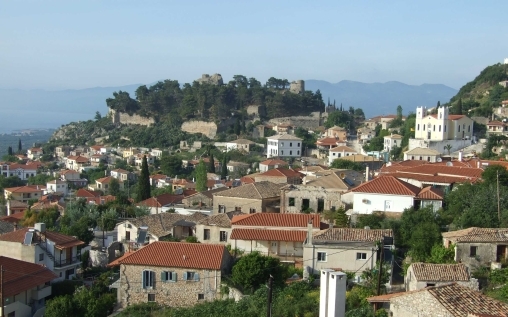 Downtown is nearly 200 m from the shoreline of the Ionian Sea, which includes the nearby Gulf of Kyparissia (Kyparissiakos Kolpos), and west of the nearest mountains. The town has a port to the northwest in the bay; its barriers are almost shaped like the letter G, but the southwest barrier runs to the northwest from the point. The port is mainly used for cargo purposes and has no ferry services. The shoreline features sea turtles, Caretta caretta.